Shortly after we bought our first piece of property at False Bluff, my sons and I hung hammocks among a triangle of coconut trees close to the shore. We camped close to the shore because the incredibly dense undergrowth that was everywhere then made moving away from the shore difficult...undergrowth that grew so thick it completely blocked the breeze from the sea. Pushing into it felt like stepping into an oven. There was no pushing through it because the undergrowth seemed to go forever. I found out not too much later that it does go forever, or at least to the edges of Smokey Lane Lagoon to the west...and gets worse and thicker on its way there. And, of course, we hung the hammocks close to the shore because being close to the shore was why we were there in the first place. 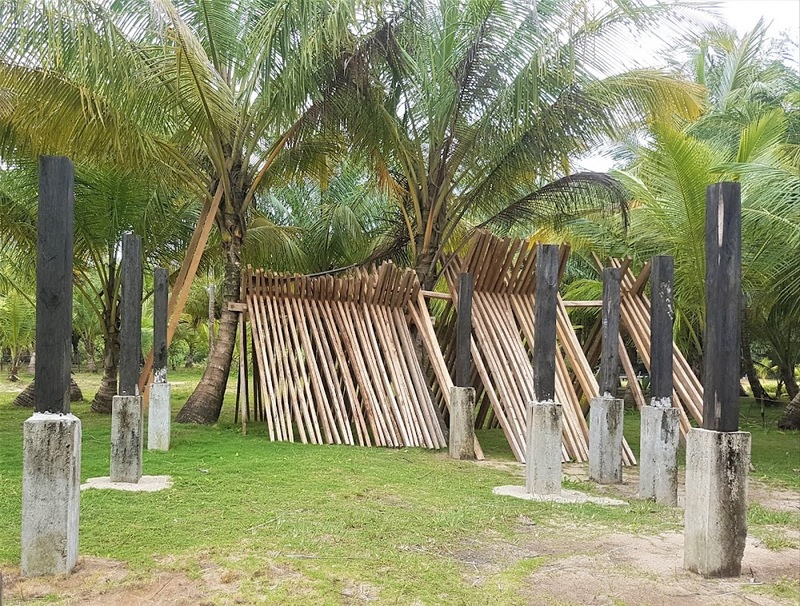 Then, as many pictures on this site show, the undergrowth was cleared away and hundreds of coconut trees and plugs of a carpet-forming grass were planted in its place and left to nature...no fertilizer, no irrigation, just the passage of time. I stood on the site of that first camping trip to take the picture below - testament to the dramatic changes to the scenery. 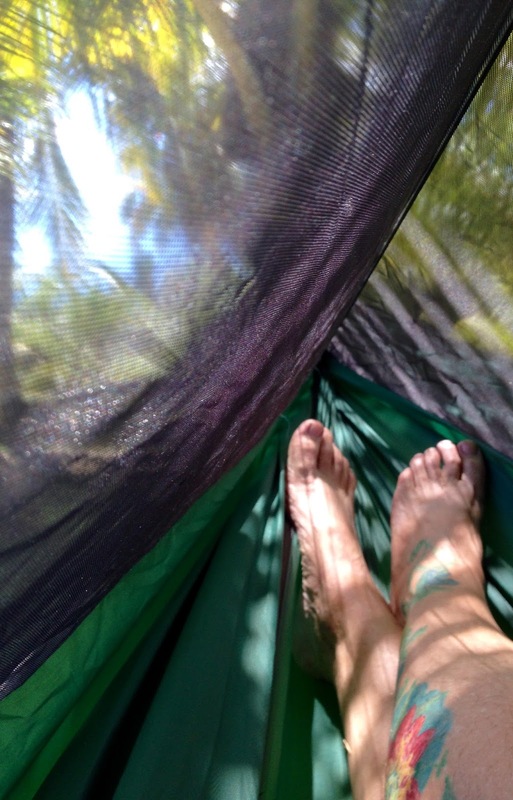 On a recent trip I was a bit awed, hanging in that same hammock (a Hennessy, a brand of hammock often referred to as "the coolest tent in the world") between and below other coconut trees - coconut trees that I had planted after the brush was cleared away. And now there's no shortage of trees at False Bluff from which to hang a hammock. I took a book into the hammock with me because I usually take a book wherever I go. But I confess I spent a considerable amount of time not reading but marveling at what time and adequate amounts of rain had given me in exchange for a few thrusts of a shovel nearly a decade ago.